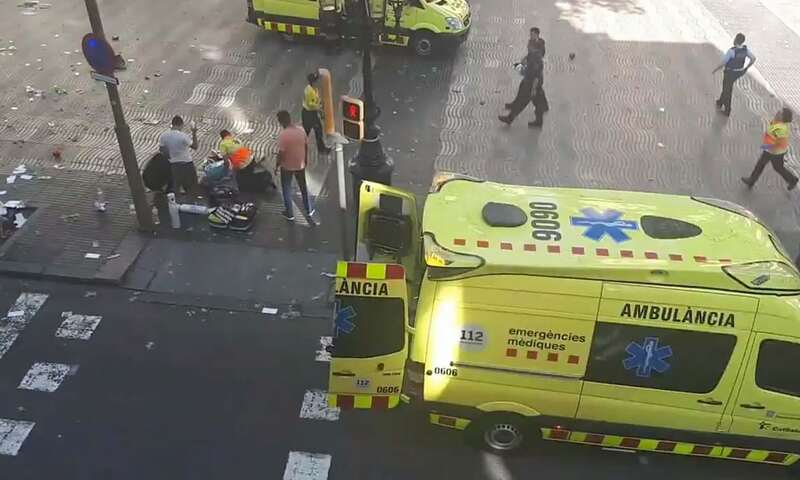 (Calgary) The Islamic Supreme Council of Canada (ISCC) and Muslims Against Terrorism (MAT) strongly condemn today’s terrorist attacks in Barcelona, Spain. Our thoughts and prayers are with the victims and their families. ISCC and MAT stand with the people of Barcelona. We pray for peace and understanding among people of all faiths. ISCC and MAT ask governments in all countries to focus on prevention of terrorism. The only way this terrorism can be eliminated if all governments unite sincerely against terrorism and stop the ideologies of radicalization. “Last Saturday we saw terrorism in Virginia by the White Supremacists and today we are horrified by the tragedy in Barcelona”, said Imam Syed Soharwardy today. ISCC and MAT demand that the culprits must be brought to justice as soon as possible. ISCC and MAT also condemn today’s hate mongering Tweet of President Donald Trump in which he wants to use pig blood bullets to kill terrorists. We fully understand Mr Trump never misses any opportunity when he can incite hate towards Muslims. In today’s pig blood tweet Mr Trump used a fake story which has been rebuked by western historians and war experts. We know Mr Trump considers some of the White Supremacists, neo Nazis and White Nationalists good people who hate everyone except themselves. As ISCC and MAT announced earlier that ISCC and MAT will be holding a multi-faith memorial service on Friday, August 18, 2017 at 1:30 PM at the Genesis Centre, 7555 Falconridge Blvd., NE Calgary to honour and remember Heather Heyer and other victims of last Saturday’s terrorist attacks in Charlottesville, Virginia. We will also be remembering the victims of Barcelona terrorist attacks in which more than a dozen innocent people have died and more than 80 were injured. We invite people of all faiths to attend this service. For further inquiries please contact Imam Syed Soharwardy at 403-831-6330 OR 416-994-5467. 24|7|And the fifth time, that God’s curse be upon him, if he is a liar.